Discussion in 'Off-Topic Discussion' started by magixfinger, Sep 22, 2010. Like the tittle said, what is your nationalities or country of origion, as for me, I'm Vietnamese, come to the U.S when I was 12 and now I'm 30 yrs old, so I might as well call this country a home. One thing I notice about TW is that we don't have much Asian member on here. Born and raised in the USA! And how is this related to 2nd gen section??? I am an American. My family originated from the Philippines. spanish, mexican, italian, french, and most of all, AMERICAN! 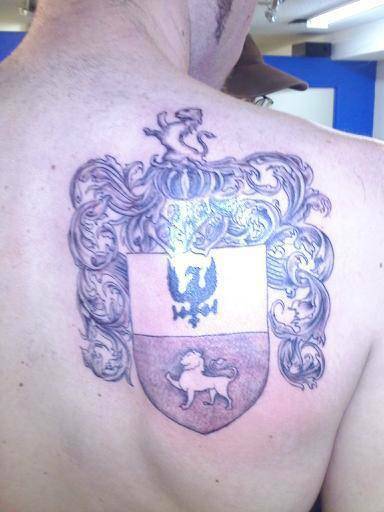 German but born in the U.S. of A.
my family crest from Germany. Born in Canada....entered the U.S. at 4 months old. Became a U.S. citizen 10 years ago. maybe cause hes not a first generation... get it? I have dual citizenship: British (England) born and now also a proud citizen of Canada, since 2008.